When the child is taken away from parents, and they return home, DAV and CPS is there to help get the school supplies they need to keep on learning. National Commander Dennis Nixon installing officers of DAV Chapter 41, Wichita Falls. Chapter Adjutant/NSO Amanda Almaraz and Commander Kevin Crozier interview on God Family Country Show – March 24, 2019. Santa’s elves of Fort Bend County DAV Chapter 233 setting off to deliver Christmas dinner baskets and gifts for veterans in need. Fall 2018 Edition of the DAV Nonprofit Advisor is available. This is issue is titled Copyrights and copy wrongs. 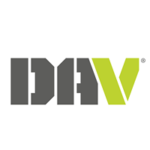 The Nonprofit Advisor is prepared by the Office of the DAV’s General Counsel and is published quarterly for the informational use of DAV Departments and Chapters. Way to go DAV Chapter 26 members – fighting to end homelessness for veterans in the Amarillo area. 20 universal bed-frames, 20 nice blankets and 40 bed sheet sets to the housing first group at the VA hospital for those being processed into housing. The Board Members and staff of the Central Texas Regional Mobility Authority honor and appreciate the service of the men and woman of our military forces, past and present. State law allows a Texas toll road entity to offer discounted or free tolls to Congressional Medal of Honor, Legion of Valor and Purple Heart recipients as well as disabled veterans who qualify and meet the requirements for specialty license plates. Effective November 1, 2018, the Mobility Authority will offer a discounted toll program to certain valued service members. J. E. Pietzsch, DAV Chapter 26, Forget-Me-Not Drive was a success with a total of $1,850.28 raised for Disabled American Veterans in Amarillo, Texas. 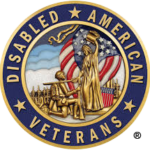 As October is National Disability Employment Awareness Month, DAV (Disabled Americans Veterans) has released The Veteran Advantage: DAV Guide to Hiring and Retaining Veterans with Disabilities. With the help of officers from Wichita Falls DAV Chapter 41 the newly formed Granbury DAV Chapter 238 help its first election on October 10, 2018. The elected elected officers are pictured on the back row from left to right including Ronald Horton, Chaplain; Chris Georgopoulos, Adjutant; Timothy Lundy, Sr. Vice Commander; Stephen Smith, Commander; Con Shuck, Treasurer; Esther Schreiber, Secretary; Asa Maddox, Jr. Vice Commander; Kevin Sklark, Sergeant At Arms. https://today.agrilife.org/2018/09/21/62143/ SAN ANGELO – The Texas AgrAbility Program and Battleground to Breaking Ground Project of the Texas A&M AgriLife Extension Service will host a farm tour and agricultural business workshop Oct. 19-20 in the San Angelo area for veterans, individuals with disabilities, and beginning farmers and ranchers. Copyright 2018 DAV Department of Texas.